Lighthouses are some of the most iconic structures, towering in height and helping sailors navigate the waters in dark and dreary conditions. 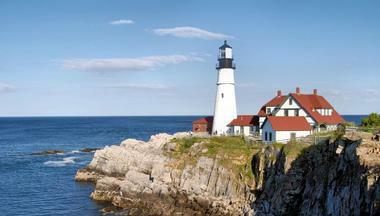 Today, the United States has over 400 lighthouses all the way from Maine to Hawaii. 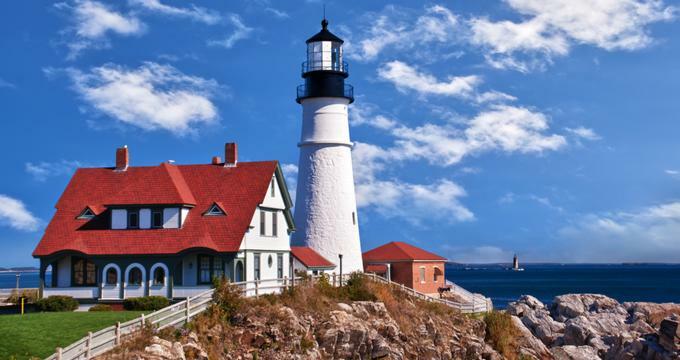 If you find yourself in Portland, Maine, be sure to take some time to visit and view these stunning structures, as it’s an activity that the entire family will enjoy. While all the lighthouses can be viewed from afar, some of them on our list offer an opportunity to get up close via the surrounding parks or to even take a tour inside. 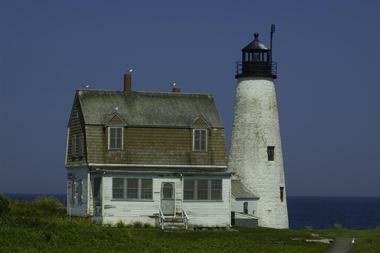 The Portland Head Light even has a museum filled with artifacts on the state’s maritime history for visitors to enjoy. 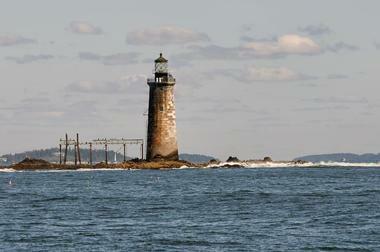 Located at the southwestern entrance to Casco Bay, Cape Elizabeth Light is also fondly known as Two Lights. The tower was initially constructed in 1828 as two rubble stone towers, hence the name Two Lights, but these were replaced with cast-iron structures in 1874. The towers vary in height, one at 67 feet high and the other at 129 feet high. Visitors can get up close to the stunning lighthouses by visiting the adjacent Two Lights State Park. The 41-acre state facility provides panoramic views of the lighthouse and its surrounding grounds, though visitors are not allowed to access it. Halfway Rock Lighthouse is a beautiful structure that was built in 1871 as a response to ships that were running aground in the area due to the lack of light and guidance. The gorgeous black and white granite light tower got its name because of its location, which is halfway between Cape Small and Cape Elizabeth. Presently, the only structures that remain are the lighthouse itself and the attached ex-boathouse as all other building were destroyed by storms. Visitors are invited to view the towering lighthouse, which was added to the National Register of Historic Places in 1988. 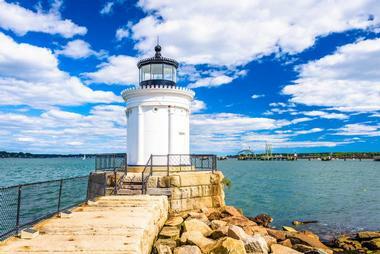 Lovingly known as Bug Light, the Portland Breakwater Light is a small yet stunning lighthouse in South Portland, Maine. The lighthouse was first built as a wooden structure in 1855 but was reconstructed with curved cast-iron plates 20 years later. The lighthouse was designed by Thomas U. Walter, a renowned architect who also designed the east and west wings of the current U.S. Capitol. 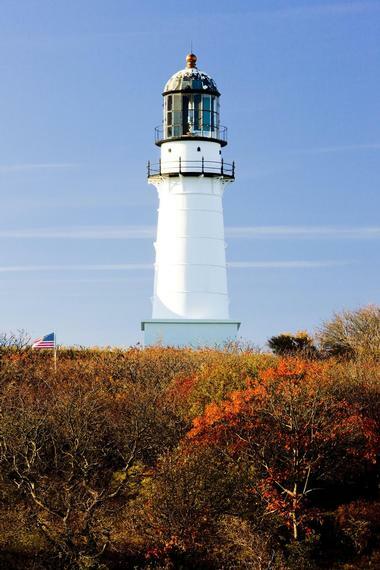 The lighthouse is used by the US Coast Guard and a park named Bug Light Park lets visitors get up close to the gorgeous structure, which was added to the National Register of Historic Places in 1973. Portland Head Light, which is popularly known as Cape Elizabeth Lighthouse, is an historic lighthouse in Maine that sits at the entrance of the primary shipping channel into Portland Harbor. 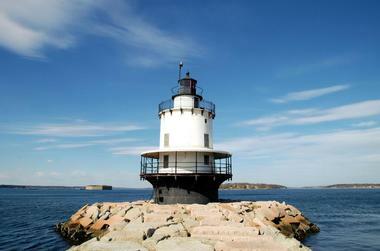 It is the oldest lighthouse in the entire state and was completed in 1791. The light station is automated and is currently maintained by the U.S. Coast Guard. Visitors are invited to come explore the stunning structure, which was listed to the U.S. National Register of Historic Places in 1973. While there, head to the former lighthouse keeper’s house, which is now a maritime museum filled with exhibits the entire family can enjoy. Located in Casco Bay, Maine, the Ram Island Ledge Light is a beautiful lighthouse that marks the northern entrance into Portland’s outer harbor. The lighthouse was constructed with granite by the US Army Corps of Engineers and was erected in 1905. Ram Island Ledge Light was added to the U.S. National Register of Historic Places in 1988 and is a popular place to visit when in Maine. The lighthouse is currently owned by Dr. Jeffrey Florman, a neurosurgeon who desired to preserve the historic property. Visitors are invited to see the view the stunning beauty off the coast, but no tours or commercial use are currently in progress. Spring Point Ledge Lighthouse is a 54-foot light tower that was initially constructed in 1897 to solve the problem many companies faced when their vessels ran aground trying to enter Portland Harbor. The lighthouse was constructed by the U.S. Army Corps of Engineers and is now listed on the U.S. National Register of Historic Places. You can visit the lighthouse any time of the year to enjoy stunning views of the Casco Bay Islands, Portland Harbor, the historic forts surrounding the area, as well as ship traffic. 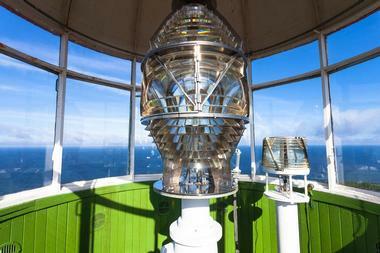 Tours of the lighthouse are offered on weekends and Tuesdays between Memorial Day and Labor Day. Found on the southern coast of Maine, the Wood Island Lighthouse was first constructed in 1808 and is now listed on the U.S. National Register of Historic Places. The lighthouse was first established under the order of President Thomas Jefferson, but the original tower was replaced in 1839 due to deterioration. During the warmer months, visitors can go on a seasonal tour out to the island, which is offered by the Friends of Wood Island Lighthouse. During the cooler months, one of the best ways to view the lighthouse is from the Audubon Trail, which will take them to a vantage point right across the channel.